This is an update to Super Grub(2) Disk: More than 3,5 million downloads since 2005 article. We have reached the round figure of 1,000,000 downloads on Cenatic forge. Thank you Centro Nacional de Referencia de Aplicación de las Tecnologías de Información y la Comunicación basadas en Fuentes Abiertas !!! I am not proud to announce Super Grub2 Disk 2.02s3 stable. Super GRUB2 Disk is a live cd that helps you to boot into most any Operating System (OS) even if you cannot boot into it by normal means. New option: ‘Disks and Partitions (Chainload)’ adapted from Smx work. New option: “Enable all native disk drivers” so that you can try to load: SATA, PATA and USB hard disks (and their partitions) as native disk drives. This is experimental. Most options had their search code improved. Super Grub2 Disk should be faster. Super Grub2 Disk builds its own grub based on upstream grub instead of Debian grub. Mac OS X kernel detection was improved to avoid false detections. Thanks to upstream grub improvement now Super Grub2 Disk supports booting in EFI mode when booted from a USB device / hard disk. Actually SG2D was announced previously to boot from EFI from a USB device while it only booted from a cdrom. Many options titles were rewritten so that they are better understood. EFI mode. Cdrom or DVD media. EFI mode. USB or hard disk media. BIOS mode. Cdrom or DVD media. BIOS mode. USB or hard disk media. We are going to see which are the complete Super Grub2 Disk features with a demo video, where you can download it, the thank you – hall of fame and some thoughts about the Super Grub2 Disk development. Please do not forget to read our howtos so that you can have step by step guides (how to make a cdrom or an usb, how to boot from it, etc) on how to use Super Grub2 Disk and, if needed, Rescatux. Here there is a little video tour in order to discover most of Super Grub2 Disk options. The rest of the options you will have to discover them by yourself. Most of the features here will let you boot into your Operating Systems. The rest of the options will improve the Super Grub2 Disk operating systems autodetecting (enable RAID, LVM, etc.) or will deal with minor aspects of the user interface (Colours, language, etc.). Excluding too custom kernels from university students Super Grub2 Disk can autodetect and boot most every Operating System. Some examples are written here so that Google bots can see it and also to make more confident the final user who searchs his own special (according to him) Operating System. Before this release we only had the hybrid version aimed at regular pcs. Now with the upcoming new EFI based machines you have the EFI standalone versions among others. What we don’t support is booting when secure boot is enabled. About other downloads. As this is the first time I develop Super Grub2 Disk out of source code (well, probably not the first time, but the first time in ages) I have not been able to build these other downloads: coreboot, i386-efi, i386-pc, ieee1275, x86_64-efi, standalone coreboot, standalone i386-efi, standalone ieee1275. Help is welcome on this subject. or you can check their contents right here. Many files were rewritten so that they only loop between devices that actually need to be searched into. This enhacement will make Super Grub2 Disk faster. Remove Super Grub2 Disk own devices from search by default. Added an option to be able to enable/disable the Super Grub2 Disk own devices search. Improvement on upstream grub (d29259b134257458a98c1ddc05d2a36c677ded37 – test: do not stop after first file test or closing bracket) will probably make Super Grub2 Disk run faster. Added new grub build scripts so that Super Grub2 Disk uses its own built versions of grub and not the default system / distro / chroot one. Ensure that Mac OS X entries are detected ok thanks to Users dir. This is because Grub2 needs to emulate Mac OS X kernel so that it’s detected as a proper boot device on Apple computers. Added new option: “Enable all native disk drivers” so that you can try to load: SATA, PATA and USB hard disks (and their partitions) as native disk drives. This is experimental. Removed no longer needed options: “Enable USB” and “Enable PATA”. “Search floppy” and “Search cdrom” options were moved into “Extra GRUB2 functionality menu”. At the same time “Extra Search functionality” menu was removed. Added new straight-forward option: “Enable GRUB2’s RAID and LVM support”. “List devices/partitions” was renamed to “Print devices/partitions”. “Everything” option was renamed to “Detect and show boot methods”. “Everything +” option was removed to avoid confusions. Other minor improvements in the source code. Updated translation files. Now most translations are pending. Finally you can check all the detailed changes at our GIT commits. If you want to translate into your language please check TRANSLATION file at source code to learn how to translate into your language. bfree (Niall Wash): For his work in rethinking how Super Grub2 Disk grub script might be rewritten although we never used that code. For adding code for EFI chainloader, helping on building and testing Super Grub2 Disk EFI releases. Jordan_U (Jordan Uggla) (jordan.uggla AT gmail DOT com): For his work in rewriting Lua Super Grub2 Disk into new Grub2 scripting. Also for his work in translation system based on gettext and po. And also I want to thank him for all this work in Super Grub2 Disk in many many ways. nox (Juergen Lock) (nox AT freebsd DOT org): For his work in fixing *BSD boot entries and helping adding new *BSD boot entries and testing. Smx (Stefano): For his Mac OS X / Darwin boot fixes and testing. He has also worked in redesigning some of the menues and probably his work will be included in next Super Grub2 Disk versions. He has also worked in a keyboard selection menu on his own too. That will be also included in next versions. The person who writes this article is adrian15 and is proud of being responsible among other things for the rewriting of options as if they were libraries. And also for the User Interface (UI) complete redesign. And I cannot forget about thanking bTactic, the enterprise where I work at and that hosts our site. There has not been too much feedback for Super Grub2 Disk betas. Hopefully this new stable release come back with new bugs (Yes, it’s sad to say so). As I want to focus on new Rescatux stable if no one wants to help on Super Grub2 Disk development there won’t be any new release (stable or beta) in a long time. I want to focus on Rescatux development on the next months so that we have an stable release on July 2015. I will probably base it on newest Debian Jessie. I have choosen a random day from 2015 to generate some stats of Super Grub2 Disk usage (and their users). I could use some better stats from a longer period of time but being exact is not the purpose of this post. There are people who use Google + (1), and comment on it (2). Yeah, although you might not believe it some people use Google+ (3). Twitter (8), yeah, some twits (9) can be found on twitter (10). There are people who record their videos on Youtube (1) or that use it (2). Actually Youtube (3) is quite popular. Some people still use the quite old Windows 7 (4). Other people use Gentoo (11). As you can see Super Grub2 Disk is being used daily on many parts of the globe on such distant places as Japan, USA or Iran. You can learn that Windows 10 has not been released yet because people still use Windows 7. Hopefully many of the Super Grub2 Disk are young and will never need to ask for help. Approximatively in a year I will redo the stats again so that we can compare with this year’s stats. This live development is about improving grub detect script so that it does not loop so much. We will also try to do other improvements. I would have liked to announce it more in advance but that’s you what you get. Two days or so. It will take about half an hour or an hour. Depending on it I might do an additional live development for Rescatux after it. So if you want to join the conversation you need to join the #sgrub channel at freenode. March 1, 2015 at 15:00 UTC Time. Check the exact time for your country. Last week I learnt (adrian15 speaking) about other people doing live streams while programming. It sound as something stupid you doing a live streaming when you develop but as I saw all the streamings most of them where in non open source languages or non open source projects. So I told myself that I had to do it too. The other reason is that it might help other people who are doubtful about contributing to Super Grub2 Disk to finally begin to do so. Because, it’s not as difficult as it might seem. So last weekend I performed a public live devopment streaming which I announced in Super Grub2 Disk chat channel. Video quality. I think I will record with my second screen at 1024×768 instead of squeezing my bigger screen to 1024×768. This might improve video quality. So I promise I’ll try to announce the live development streamings with more time, probably three or fours days in advance so that you can join by the chat. So, here there is the video about how I managed to remove Super Grub2 Disk devices from search by default. You can find its associated commit here. This is an exciting release. For the first time we are not relying on Debian’s grub packages but on our own grub2 build system. Yes, just like the distributions do when they build their own packages. This improvement let us to track grub git so that we can use its latest features. Sometimes you choose to rely on an stable grub release but sometimes some features are needed as right now. One of these features is being able of booting from EFI system from a hard disk or usb in EFI mode. (That feature was wrongly announced in the past releases of Super Grub2 Disk as being functional). And, what it’s better than that… The same disk also works for BIOS based boot and also for CDROM boot. Another fix from upstream grub enables us to avoid showing Super Grub2 Disk device itself as a (wrongly detected) Mac OS X installation. This error arised on last beta and we discovered that grub itself did not work ok when testing two expressions if the first one was detecting if a file existed or not. You can check this grub commit if you are interested. That same fix might make Super Grub2 Disk run faster because now our tests will work as expected. I haven’t tested Super Grub2 Disk speed myself so if you have feedback on it please report here on the comments. I want to dedicate this release to the Communauté francophone d’utilisateurs d’Ubuntu forum people and specially to malbo who managed to make Super Grub2 Disk to boot from a USB thanks to the standalone version. Now the Super Grub2 Disk hybrid version should boot in either BIOS or EFI mode when burned to a cdrom and also when dd to a hard disk. No need to build your own usb version for that. I know that around that community there are many great people that did find many ways of dealing with EFI specifics (Hopefully I can reuse some of these next year for Rescatux) but I chose malbo because he is great at writing howtos or step-by-step instructions so that other people can debug why their systems do not boot and hopefully they can finally boot into them. Unfortunately Microsoft’s approved secure boot is not in my Super Grub2 Disk TODO list because of ethical reasons. That would even help even more, till then, make sure you disable secure boot when booting from Super Grub2 Disk in an EFI machine. Thanks to upstream grub improvement now Super Grub2 Disk supports booting in EFI mode when booted from a USB device / hard disk. Actually SG2D was announced previously to boot from EFI from a USB device while it only booted from a cdrom. Use dd to put Super Grub2 Disk in your usb device if you want to make use of it. As we no longer rely on Debian grub packages some of the releases have been removed (till someone teachs me how to rebuild them). The downloads you will not be finding are: coreboot, i386-efi, ieee1275, standalone i386-efi and standalone ieee1275. Help is welcome on this subject and also feedback if someone was actually using them or not. Else I might remove them completely. Try to boot your desired operating system with this version. If it does not boot try the 2.00s2 stable version. If you can boot with the stable version but not with this beta version please report it to the bug tracker. This is a Super Grub2 Disk tutorial that it’s not based in this beta version but that can help you understand what you can do with Super Grub2 Disk. This release was built in a Debian jessie system but using upstream 2.02 grub version (commit 8e5bc2f4d3767485e729ed96ea943570d1cb1e45). Please check the new DEVELOPMENT file if you plan to build Super Grub2 Disk on your own very often. Added new straight-forward option: “Enable GRUB2’s RAID and LVM support“. About other downloads. As this is the first time I develop Super Grub2 Disk out of source code (well, probably not the first time, but the first time in ages) I have not been able to build these other downloads: standalone EFI x86_64, coreboot, i386-efi, i386-pc, ieee1275, x86_64-efi, standalone coreboot, standalone i386-efi, standalone ieee1275. Help is welcome on this subject. This release was built in a Debian jessie system but using upstream 2.02 grub version (commit bac5d1a64ab4191058a8fd4c05f6b3b339e249e7). I want to thank Jordan Uggla to teach me about what were the Grub2 native disk drivers and what nativedisk command did actually. phcoder did try once to explain it but I wasn’t smart enough to understand it. Hopefully I can help with nativedisk help text inside Grub2. This new “Enable all native disk drivers” option unloads the usually default biosdisk drivers which talks to the bios to access hard disks (Like did MS-DOS in the old days) and replaces it with native drivers (as a normal Operating System would do). It also manages to find somehow the old Super Grub2 Disk device and define the correct $prefix variable. In my tests this new option: “Enable all native disk drivers” aborts Virtualbox. 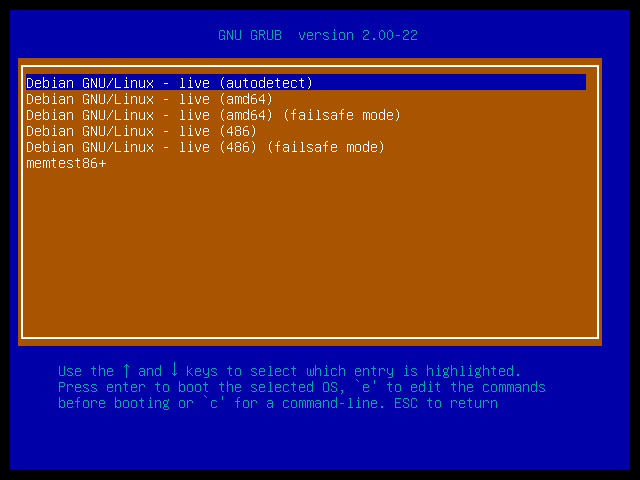 That means that we are also testing Grub2 or maybe Virtualbox. Please check my submitted bug. We have renamed many menues so that their purpose is more clear. I have recorded another video of Super Grub2 Disk Tour. It is now based on 2.00s2 version. The video is much better than the latest one (which I have just removed) because my English is better and because I had an script with what I needed to say. More than this I speak slowly for non English speakers. Anyways my English in this video is far from optimal if you are a native English. Nobody has offered himself to record it so… I can’t do any better ;). I had planned to do a lot of Rescatux development during August but I just worked with the Debian Live part and I was quite proud of it. As you might know one of the upstream projects for Rescapp is Debian Live. If you happen to contribute back to Debian Live not only Rescatux wins but also all the Debian Live derivatives. Including, probably, Ubuntu live cds. 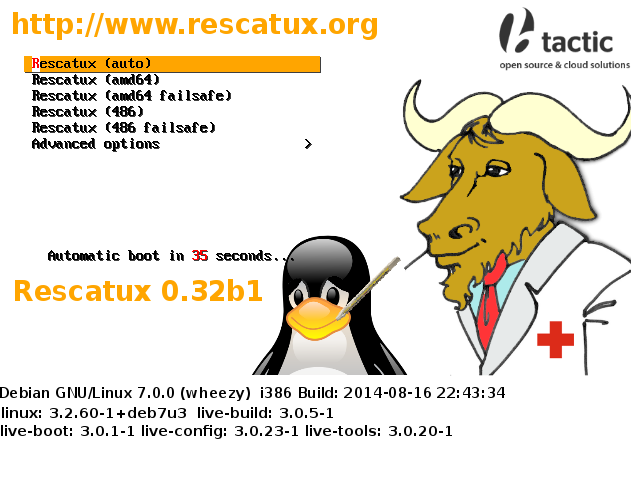 You might know that Rescatux has an autodetect boot entry at its boot. 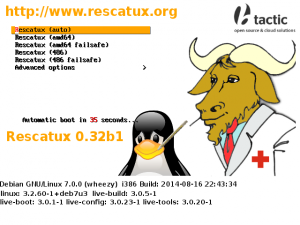 You can find it in versions prior to Rescatux 0.32b1. 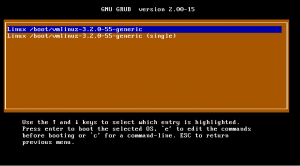 Boot system in Rescatux has been always based on Grub2 so that Super Grub2 Disk could be easily integrated. More than this an isolinux version of the iso was included . As a consequence a findiso boot parametre was needed for that to work. I also added (adapted from grml if I remember it ok) findiso to Debian Live back in the time. You will see that I’ll mention it later. In order to avoid problems with people not being able to put the ISO into an USB using standard tools since Rescatux 0.32b1 Rescatux no longers depends on Grub2 as a bootloader but it depends on Syslinux / Isolinux. That meant that Rescatux 0.32b1 did not have a cpu autodetect option. The amd64 option was the default one and if it did not work you were supposed to choose the 486 option. I recently learnt that Syslinux / Isolinux had cpu detection capabilities through a com32 file. I have implemented that functionality for both syslinux and grub2 in Debian Live. That patch won’t have been possible without the findiso option. You can see how the auto detect (and the new logo) looks like in this Rescatux screenshot. The loopback cfg support is a very good idea. As Grub2 can loop mount ISOs it can read its files without having to extract to temporary files. So you can write an specific Grub2 file named loopback.cfg that specifies how the kernel (or initrd) can find the ISO so that it can loop mount it and gather their needed files to boot into a Desktop (or whatever your Live system does). This Debian Live improvement means that when new Debian Live (or Debian Live derivatives) will be released they will have a working loopback.cfg by default. Another reason for using Super Grub2 Disk Choose Bootable ISOs option. I join an screenshot on how the loopback cfg looks like when run from SG2D. The reason why you don’t see Rescatux instead of Debian Gnu/Linux – Live is because Debian Live does not let you to easily change that string. I am talking about that issue to Debian Live developers too. I tried to gather additional functionality from Smx’s supergrub2 repository but it was not possible. Too many conflicts. I’ll wait till he rewrites the commits so that I can just fast-forward them. So if you want to be able to use your own keyboard layout at grub shell or being able to chainload a partition manually you will have to wait. 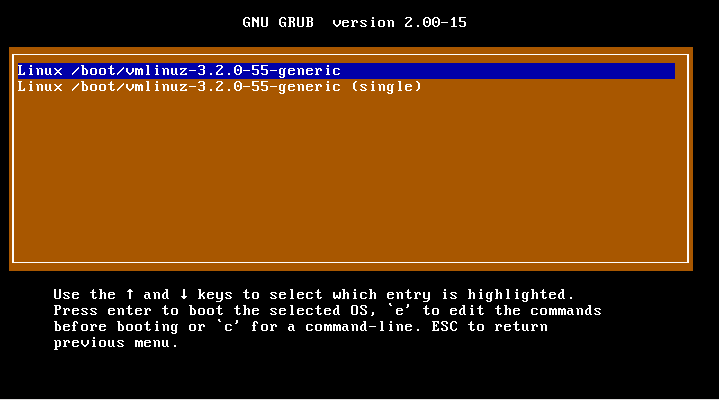 Grub 2.02 has not been released as stable yet. It’s still beta. The first problem happened when SG2D made Virtualbox to hang. Apparently it only happened when I tried to list files in an special partition called: (cd,apple4)/ . It seems it only happens when you build EFI and you use Virtualbox. This is why it was so hard to detect. The bug has been already been solved. However the second problem is related on how Grub 2.02 tries to detect new devices. Grub 2.00 had an specific way of doing that by loading specific modules. Now it seems you have to use the new nativedisk command and it will detect them for you and even rename the new devices so that they replace the existing ones. Actually, I have not understood how it is supposed to work but it might make more difficult the Everything + option. Probably I will have to remove it. So the error happens when running nativedisk. Grub2 seems to do some weird ahci calls and Virtualbox aborts the VM without saying anything in the logs. So, even if Grub 2.02 gets into Debian as an stable package I’ll take a double look at it because of nativedisk and maybe other problems that might arise. Super Grub2 Disk has recently achieved 500,000 downloads on cenatic forge. I am going to share with you some numbers from old Super Grub Disk, new Super Grub2 Disk and older forges. Thanks to a friend who hosted the web server around 2006, 2007 I setup a tiki-wiki page and counted the downloads on adrian15.raulete.net. : 53,166 downloads. This was Super Grub Disk probably when I still did not use variables but pre-made constants in many many grub files. Spanish Junta de Extremadura setup a forge specially aimed at Linex project. Thank you forjamari people once again! I joined them around 2008. No GRUB2 was widely available so this is still Super Grub Disk : 1,603,685 downloads. Then there was a time when Super Grub Disk was self hosted and with four more mirrors. I remember Benjamin and a French guy. Sorry I cannot thank you all properly. Finally I found Berlios where there are both Super Grub Disk and Super Grub2 Disk downloads: 1,504,207 . It’s difficult to compute a most exact figure. Downloads from when Super Grub Disk had mirrors need to be added. Torrent downloads also. Third party file download site dowloads, et caetera. I let you, the current Super Grub(2) Disk and Rescatux user to imagine it. Hopefully some years into the future we can see a similar figure for Rescatux 😉 . You might be interested in reading the Super Grub Disk is outdated post and also the last Super Grub2 Disk release: Super Grub2 Disk 2.00s2 where I thank the current Super Grub2 Disk collaborators and developers whom I almost forgot to thank in this article.